Microsoft has confirmed a rebranding of its main development collective of studios that suggests it will be moving forward with its plans to unify all gaming platforms under the Xbox brand. 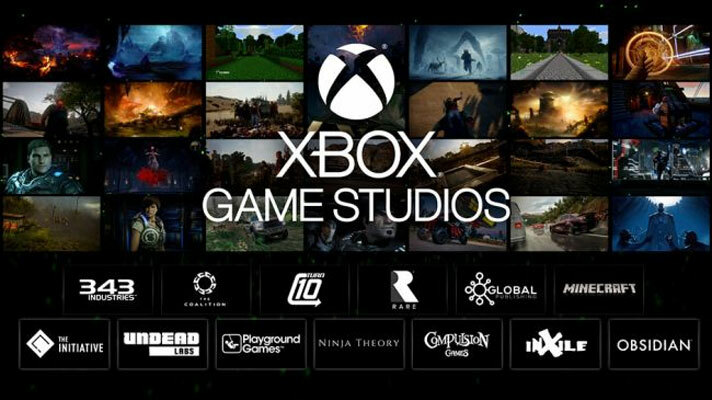 Microsoft Studios, which collects studios like The Coalition, 343 Industries, Turn 10, Undead Labs, and Obsidian Entertainment (among others) under the same umbrella, will now be known as Xbox Game Studios instead. "As we’ve expanded our focus beyond the console, the Xbox brand has also evolved from its original roots," Xbox Game Studios corporate vice president Matt Booty said (via PCGamer). "Today, Xbox is our gaming brand across all devices, no matter how or where you want to play, or who you want to play with." Further along in his interview, Booty suggested that Microsoft's Xbox focus was going to expand into a broader vision, potentially bringing Xbox titles to all sorts of platforms. First party games will make their way onto PCs as before, but we might see Xbox games appear on mobile and tablet platforms too in the future. "Now Xbox Live is about to get MUCH bigger. Xbox Live is expanding from 400M gaming devices and a reach to over 68M active players to over 2B devices with the release of our new cross-platform XDK," Microsoft said in a separate statement. We might even see Xbox games appear on alternative consoles like the Nintendo Switch, although it seems unlikely that Microsoft will extend such an olive branch to its main competitor, the PlayStation platform. New name, still the best online community, and best games. As as Steam user from it's early origins to now, having moved to Ubuntu Linux 5 years ago as well as using ProtonDB for a month or so, I can say with all optimism that ProtonDB is coming along in spades. Thanks to it's partnership with Wine, it is already running a lot of Windows games to a good enough standard. The future is looking good.